New Mexico has several student loan forgiveness programs that are specific to just the State of New Mexico. Description: The purpose of the New Mexico Health Professional Loan Repayment Program (HPLRP) is to provide repayment for outstanding student loans of practicing health professionals. As a condition of the program, a health professional must make a two year service commitment to practice full-time in a designated medical shortage area in New Mexico. Description: The New Mexico John R Justice Program provides educational loan repayment benefits to prosecutors and public defenders in New Mexico using funding from the John R. Justice (JRJ) Program. The purpose of the program is to encourage qualified attorneys to choose careers as prosecutors and public defenders and to continue in that service. § A beneficiary must be employed in the state from which s/he receives JRJ funding. § A beneficiary must be employed full-time, which is not less than 75 percent of a forty hour work week. § A beneficiary must be continually licensed to practice law. § A beneficiary must not be in default on repayment of any federal student loans. 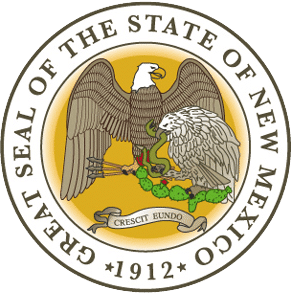 Description: The purpose of the New Mexico Public Service Law Loan Repayment Assistance Program (LRAP) is to provide legal educational loan repayment assistance to individuals providing public service in state or local government or the non-profit sector in New Mexico to low income or underserved residents. § Annual salary may not exceed $55,000. § Licensed to practice in New Mexico as an attorney and shall declare intent to practice as an attorney in public service employment in New Mexico. § Have student loans that were obtained for legal education expenses that are not in default (past or present). § Must have applied to all available legal educational loan repayment programs offered by the applicant’s law school for which the applicant qualifies. § Must be employed as an attorney at an eligible employment site (Note: Individuals with an official job offer may apply). § This is a service-based program, which requires a three (3) year commitment to work in Public Service Law. Past program participants may be eligible for renewal.